Decades ago, two women—one in Colorado and one in the Philippines—overcame obstacles to seek an education. That decision changed the trajectory of their lives and those of their families for generations. Today, their granddaughters are fighting to give every child in their communities the same choice for a quality education. It started with their grandparents. In Colorado, Veronica Crespin-Palmer’s grandmother overcame overwhelming obstacles to earn her GED and pursue advanced degrees. On the other side of the world in the Philippines, Clarissa Delgado’s grandmother had her medical studies interrupted by World War II, but still found a way to both fight for her country and complete her medical degree. In both cases, their pursuit of an education helped set their families on a course for a better life for decades to come. Today, Veronica draws inspiration from her family’s story in her work to boost family involvement in student success—especially in minority communities. And Clarissa’s pride in her Filipino heritage brought her back home after completing her studies in the United States, eager to hold the doorway of opportunity open to more Filipinos by finding ways to support the local public education system. We sat down with these two Obama Fellows to understand how their roots are helping guide them as they strive to ensure every child in their communities has access to a quality education. Their work just might leave a mark on education systems for decades to come. Q: Can you tell me about your organizations and how they work? Clarissa: I co-founded and lead Teach for the Philippines, which is founded on the philosophy of critical pedagogy and runs three separate programs that work with new and existing Filipino public school teachers, as well as public education administrators. Twenty-four million students in the Philippines are in the public school system. Since there are only 100 million Filipinos, that means a quarter of our population is currently in school. Our country cannot continue to progress unless we make serious investments into improving the quality and the standards of public education that are available to all Filipino children. One of the ways we do this is to actively channel former public school teachers into technical assistant roles in the local and national government where they build bridges between decision makers and power centers that don’t traditionally interact with each other. By doing that we’re able to bring in more community voices to lead their own change, or at least give voices that have had lived experience in public schools an opportunity to advise or provide support to lead their own change. Veronica: Similarly, at RISE Colorado, we work to Educate, Engage, and Empower low income families and families of color to become agents for their own educational equity. Many families—especially in immigrant and refugee communities—don’t know those educational inequities exist, which leaves a powerful force for change on the sidelines. At RISE, we help families become aware of the inequities they face and we teach them how to work at home and together with teachers to end it. 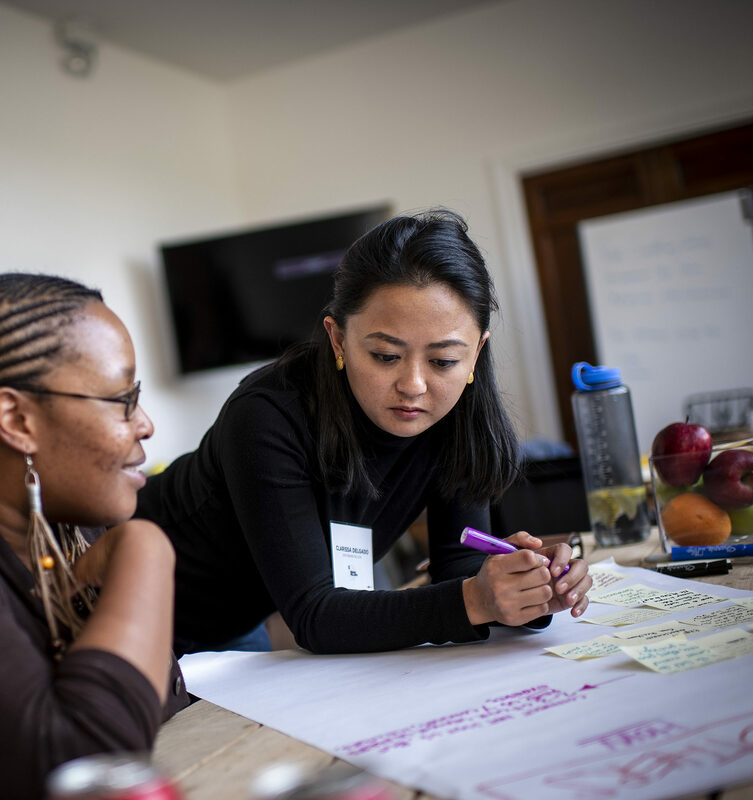 We focus a lot on organizing in multi-racial, multi-lingual coalitions to craft community solutions, and we connect families to teachers, school leaders, and local nonprofits as partners. Q: Clarissa, I'm wondering if you could talk about what brought you to this work. In your case, it sounds like there’s a very strong personal narrative that perhaps led you to what you're doing now. C: I think education has made a difference in all of our families in some way. We all have relatives who made a critical decision to pursue an education. In my case, it’s a combination of two things. My grandmother was the only child her parents could afford to send to a good school in the capital city. She studied to become a doctor, which was ultimately interrupted by World War II. Yet through sheer patriotism and willpower, she managed to both lead a guerilla unit during the war and continue her studies after the war, eventually becoming a successful cardiologist. So, my family and I were directly impacted by my grandmother—in her early 20s—pursuing an education against all odds; with a grittiness and sense of responsibility that’s been passed down generation to generation. My grandparents had eight kids, all of whom they could provide an education. The fact that I’ve managed to get an education is the result of life decisions of those who came before me. So again, these choices, these sacrifices made a big impact in my life and inspired me to get involved in this work and anchor me in the Philippines. I’m a proud Filipino. Coming back home to do this work just feels right. Q: And Veronica, what inspired you to get involved in education? How does your narrative factor into your work? V: My inspiration for my work was really personal. Similar to Clarissa, my grandparents forged really important paths that have directly affected where I am today and where my children can go. I believe education is the foundation of everything. My grandmother was a gang member. She got pregnant in high school, dropped out and went on welfare, and lived in the projects in downtown Denver. But she got her GED, Bachelors, and Masters at a campus across the street from the projects, and became a social worker for Denver Public Schools for twenty-five years. So that single handedly transformed my family’s trajectory for generations to come, and uplifted my family from the cycle of poverty and violence. Education changed my family, and when I graduated from college, I said I need to do that. I need to provide all families and all children with an excellent education because of what it did for my own family. It was also always fascinating to me that as a Latina, I was always one of the only students of color in my AP and honor classes, and I didn’t know why. The same thing was true while I was in undergrad. In a Poli-Sci class of 500, there would be five students of color. We’d huddle together and support each other to get through a predominantly white institution, and that’s when I decided I really needed to teach. On top of that (laughter) my own children are in the public education system, so I have skin in the game. My husband and I have four degrees between us, but we still have difficulty navigating the school system. Having been a teacher and now a parent, reaching educational equity has become even more important to me and something that I feel called to take on more than I did before. Q: I'm wondering if you can talk a bit about those first choices in your life that led you to this work. When you're 21 and staring at an empty bank account and wondering if you want to work in the nonprofit sector for instance—how do you get the courage to make decisions like that? V: My grandmother always told me, “Hija, your life and education are not your own,” which meant that if I don’t use my own education to uplift and empower others, then what’s the point? That’s really what I did as a teacher and now as an education nonprofit leader. I also really believe in Sankofa, which is a Ghanaian proverb that says you must know where you came from in order to know where you are going. This question makes me think a lot about where I come from, and when I set out on this journey, I certainly didn’t think I would be where I am now. I wanted to be a civil rights lawyer when I started undergrad, but after attending a Teach for America event I realized that my actual calling was to close the opportunity gap in education. It really felt like a calling. So I joined Teach for America as a teacher coach. I was coaching preschool through high school teachers across Los Angeles and South Central Los Angeles, including Compton and Watts. I lived in my car. And it really brought the theory of my change to my core members that we have 180 days to teach our babies. But who will have them for the rest of their lives? Their parents. So we have to teach beyond our four walls. C: Similar to Veronica, I didn’t have a really clear path to where I am now. In many ways, I feel that I’m merely standing on the shoulders of women who came before me and whose choices and guidance allow me to be who I am. My mom really pushed me and encouraged me to pull this organization together, and to strive to be better today than who I was yesterday. My other co-founder, Lizzie, has also been an influence in my life and has shown me empathy, compassion, and love up close. Their influence from an early age led me down this particular path. Bit by bit these questions grew and I found myself pulling together a plan to bring Teach for the Philippines to life. Through this journey, the most significant thing is to be surrounded by people who push me to be the best version of myself and who point me in directions I would not have known to consider. Q: Could you talk about when you first met and spoke to each other about the work you were doing? What was that moment like? C: Well we were at Starved Rock in Illinois, so we had a mountain girl, and an island girl, and they put us in a lodge on a hill (laughter). I think when we first bonded, one of the things I remembered talking to Veronica about specifically was the idea of trauma in our communities and the idea of scale. In the communities we work in, some version of post-traumatic stress disorder is what really keeps our families in a cycle of poverty. When there are high levels of sustained stress because you don’t know where your next meal is coming from, and/or if there’s violence around you, it’s very difficult for you to plan for the long term, which includes planning for, or committing to, an education. I think what’s really powerful is that you don’t have to be on an island in the middle of the Pacific Ocean to really understand the importance of education. You can be in the Rockies or really anywhere else and you can see the impact poverty and trauma have on children. The second piece we talked about really deeply was the notion of scale and the hyper-local approach we take in our work. Veronica, you should jump in, because like we do in Teach for the Philippines, you also spend a lot of time in a specific community rooted in a specific place. V: Yes, that’s exactly right. We also discussed how our communities have a lot of languages as well. Aurora is an official refugee resettlement city. We’re the most diverse school district in the state of Colorado and one of the top ten most diverse places in the country. We have families from 150 countries speaking 170 different languages. So we’re like, wow, there a lot of languages. C: Right! The Philippines is made up of 7,101 islands, and there are around 97 different languages. V: And it made us ask each other “How do we support families in their native languages?” They deserve to be included in the educational system and certainly shouldn’t be marginalized due to language barriers. We also talked about believing in our community and community-led and -driven change. Even though I’m a woman of color from the community I’m working in and have been impacted by the opportunity gap, I’ve reached a certain level of educational, financial, and political privilege and capital to where I must step aside and elevate the voices of those most impacted. We bonded over how our organizations serve as conveners and platforms for people to really lead the change they want to see. And we’re here to provide the support and help them navigate the system to do that, and language accessibility is a big part of our work. C: Yeah, and we agreed that it’s really important to dive deep into communities and do our best to first listen and understand our communities in order to support them. Going deep, rather than going “wide” and spreading ourselves thin all over the country. Q: This question is really just for the two of you to reflect on: What have you two learned from each other? Over the course of the fellowship and maybe the friendships that you have made that extend beyond it. C: Veronica is still teaching me how to really articulate my story and how to keep the energy for this work front and center. Something I still learn from you, Veronica, and admire about you is your strength. C: And that strength gives me strength, and you’re so strong for your family. I don’t think we’ve ever had a conversation where you haven’t been running in and out to support your kids, or being there for them in some way. I see how you’re there for your husband too, who is your pillar of strength but I think he must also draw strength from you as well! I also admire your family and your cultural norms. You make it look easy, but I know that can’t be easy at all. So something I learned that impressed me from the moment that I met you and continue to learn from her today is how you show up and be strong. I appreciate you. 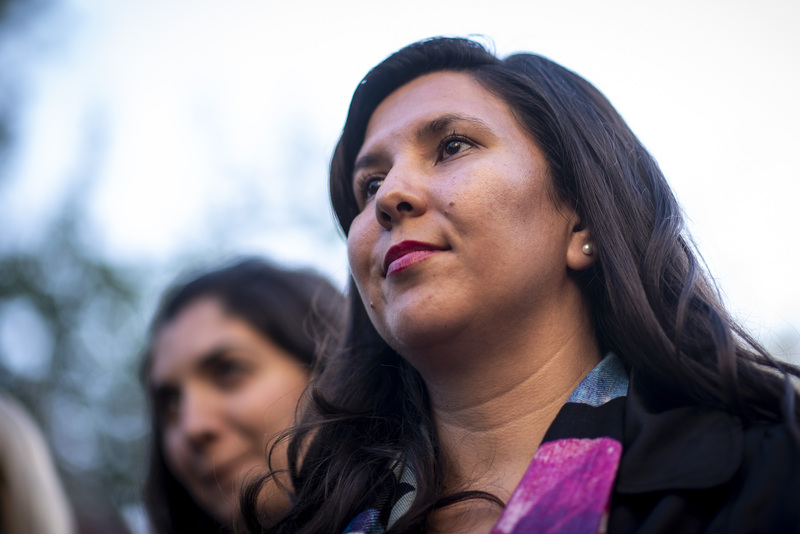 You can learn more about Clarissa, Veronica, and meet our other current class of Fellows here.